Referred to as a UK marriage visa, the UK spouse visa enables spouses of UK citizens or persons that are permanent residents in the UK, to apply to enter the UK or to remain in the UK on the basis that they are married to a person who is present and settled in the UK. Being settled in the UK means that you are ordinarily resident in the UK with no immigration restrictions on the length of your stay. If your application for a UK spouse visa is successful you will be eligible to work in the UK as soon as the spouse visa is issued. You and your spouse with settled status in the UK must be 21 years of age or over. You and your spouse must have met each other and you must be legally married. This requirement is in place to prevent situations that can occur as a result of arranged marriages. You and your wife can live together on a permanent basis.You should have a handsome amount for support your wife without public funds. A reasonable accommodation should have for you and your wife. 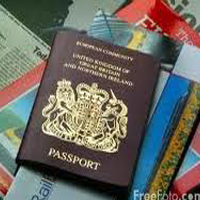 A spouse visa for the UK is usually issued for a period of two years. At the end of the initial two year period you can apply for Indefinite Leave to Remain (ILR) in the UK (also known as permanent residence) provided that you are still married and living with your spouse in the UK. Once you have been granted ILR on the basis of your marriage to a UK national, you are eligible to apply for British naturalisation (also known as British citizenship). If you are seeking to enter the UK on the basis of your relationship with a UK national you are required to apply for entry clearance before you enter the UK.